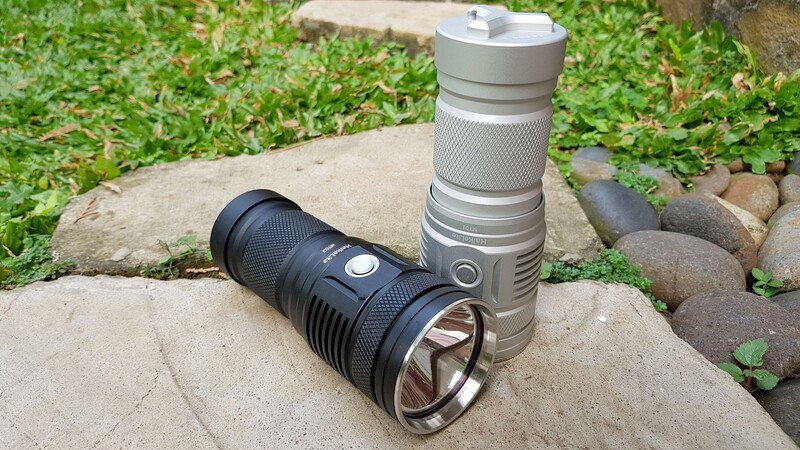 This Haikelite MT01 is provided free by Banggood for my honest and unbiased review no other payments are received other then the flashlight provided, this will not change how i review any Haikelite products or any other products that i will be reviewing in the future. 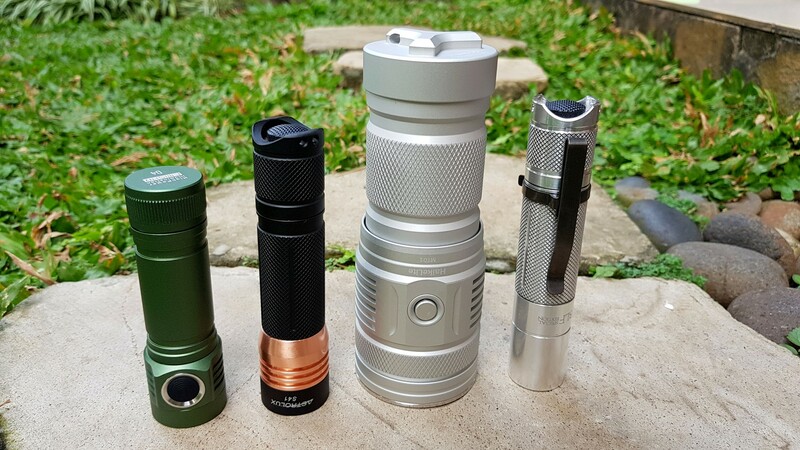 All my other Haikelite flashlights (MT03, MT07, SC01, MT02) were purchased with my own money. 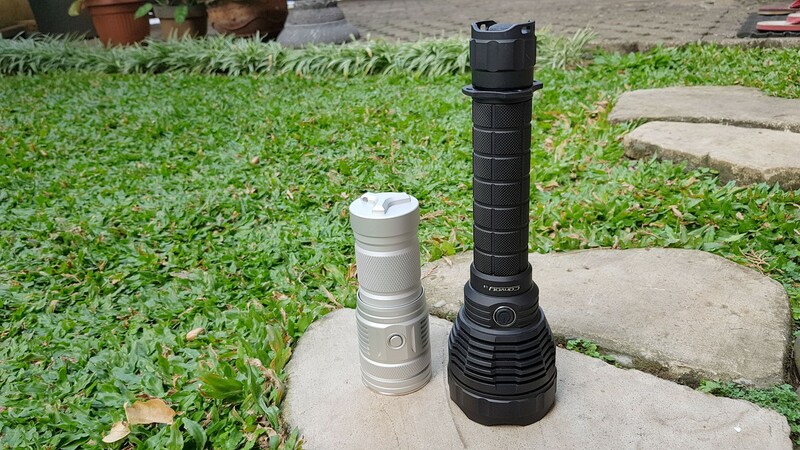 This is my 5th Haikelite flashlights that i reviewed. 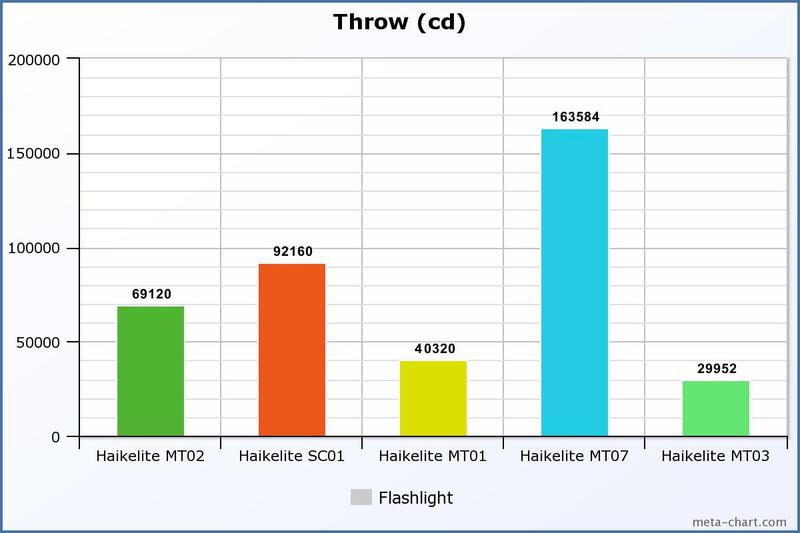 My first Haikelite was MT07 and it was my first ever entry to a thrower lights, i used to have Aspherical Maglite but that was a moded light and i like the MT07 alot because of how different it is compared to other thrower since then i keep buying more and more Haikelite flashlight. 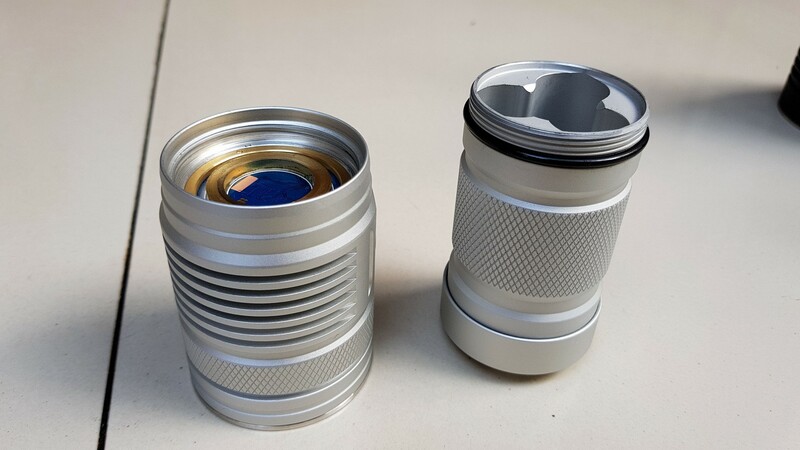 Haikelite seems to have different design compared to other manufacturers, for starters most new startup would start by producing a single 18650 pen-light style with tail clicky but not Haikelite their design is simply standout among the crowded flashlight market and honestly that what made me attracted to Haikelite. Simple UI with one electronic button and click or click-hold action. 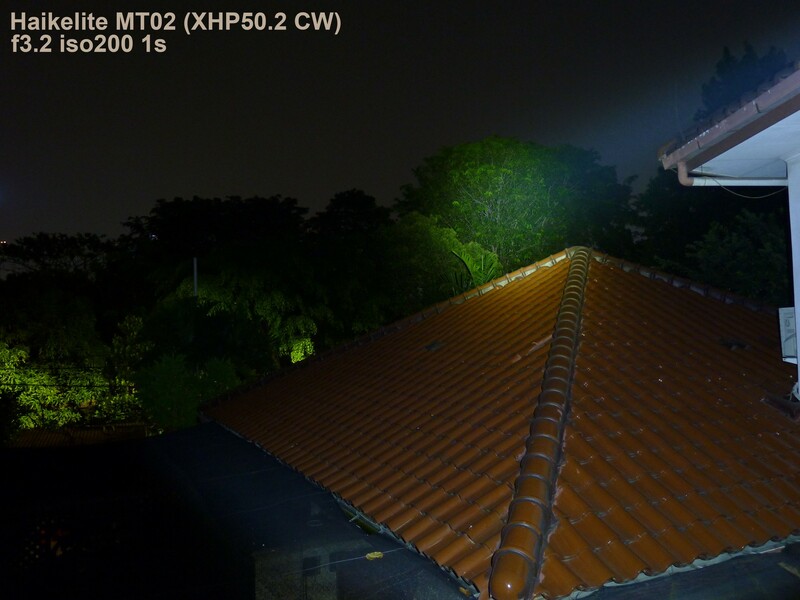 Using latest gen XHP50.2 emitter. 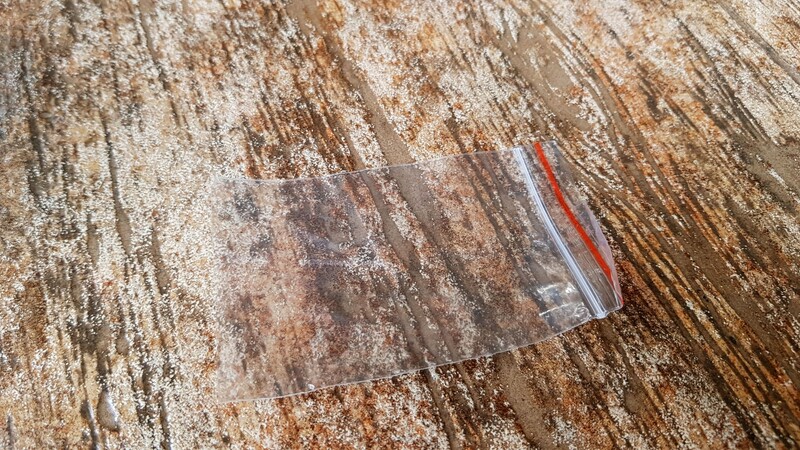 Perfect size for palm gripping, fits nice in your palm. No obvious flaws and no blemish or imperfection on the surface and finishes. 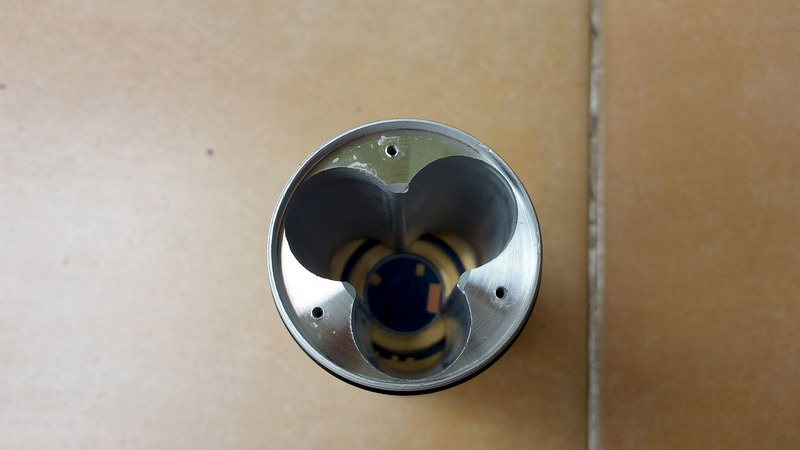 Able to tail-stand but due to the tailcap triangular design it is not very stable. 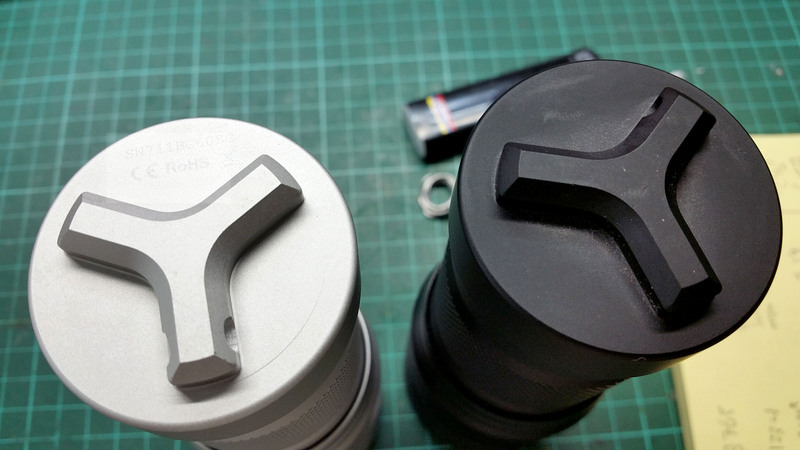 Lanyard Hole at the tailcap. 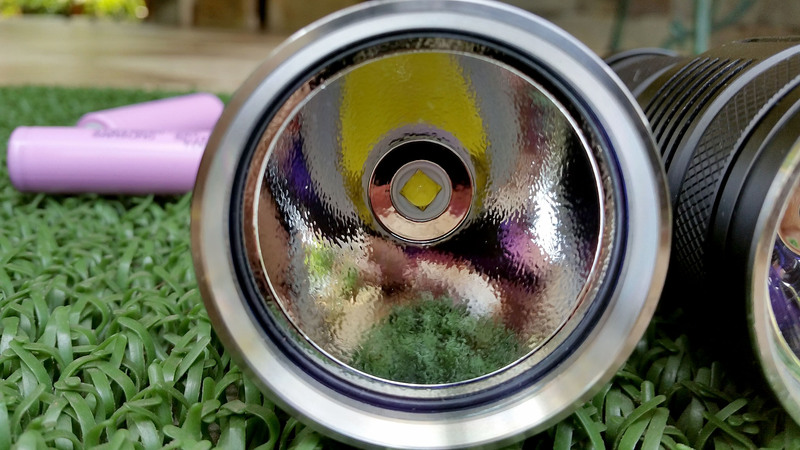 Not enough flat surface to avoid rolling over your table, the flat side of the switch is barely enough to stop the light from rolling similar to MT02 which has the same inherent design flaws so be careful. No spring on the head so bumping/droping the light could switch it off and damage the battery positive. 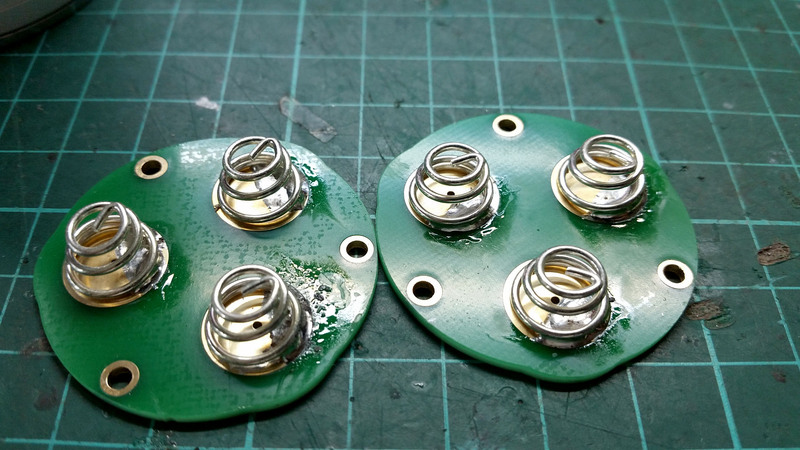 My MT01 and MT02 have an inadequate spring soldering job, which could be the solder being used or the material that coats the spring that make the solder harder to stick and the spring only soldered one sided. 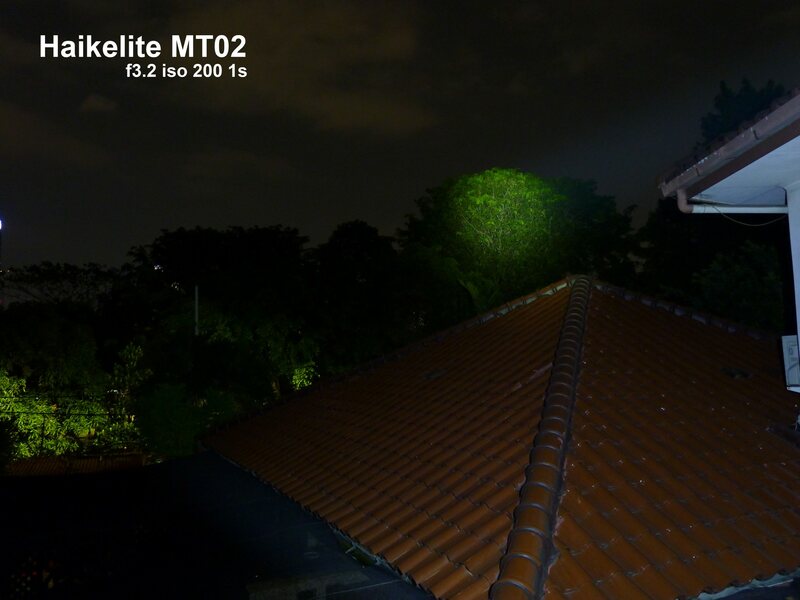 Haikelite are already aware of the problem and said they will fixed all lights that are currently in their hands. 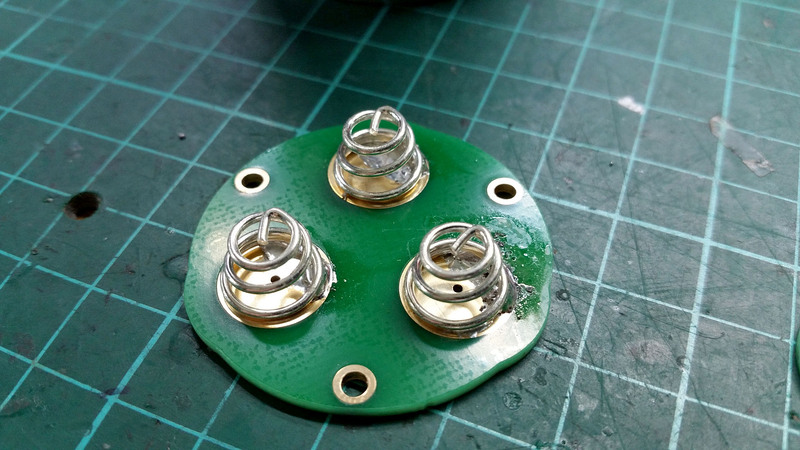 It is recommended that you check your spring and re-soldered them just to make sure. 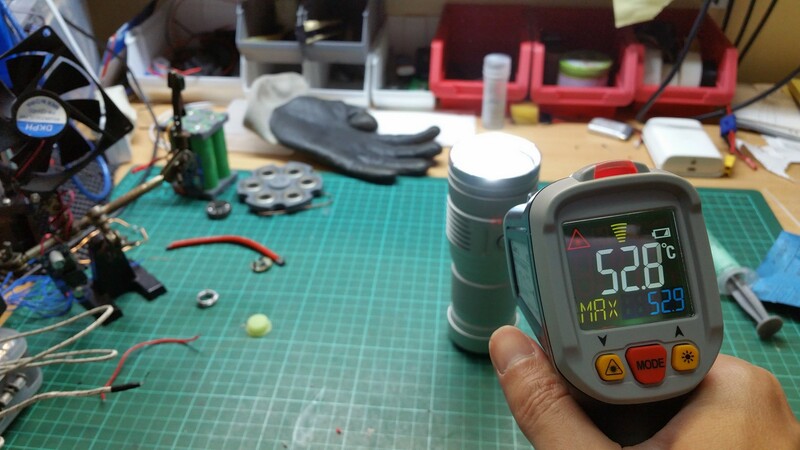 — Build-in Anti-reverse protection in flashlight driver. 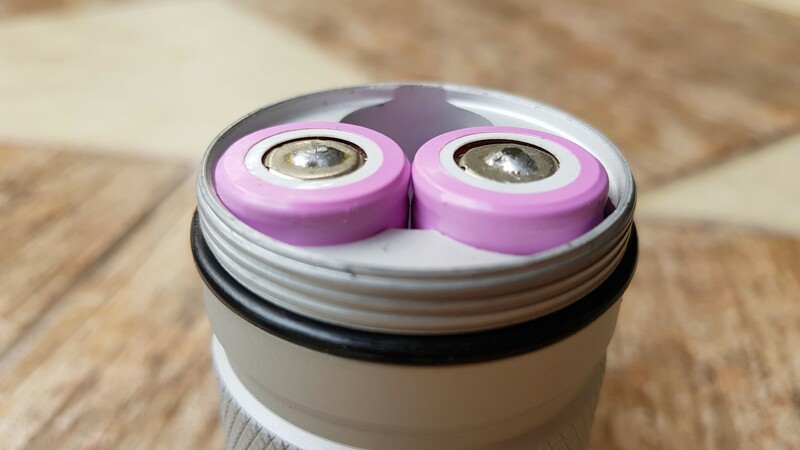 If you put the battery reversely, there is no drain coming through. 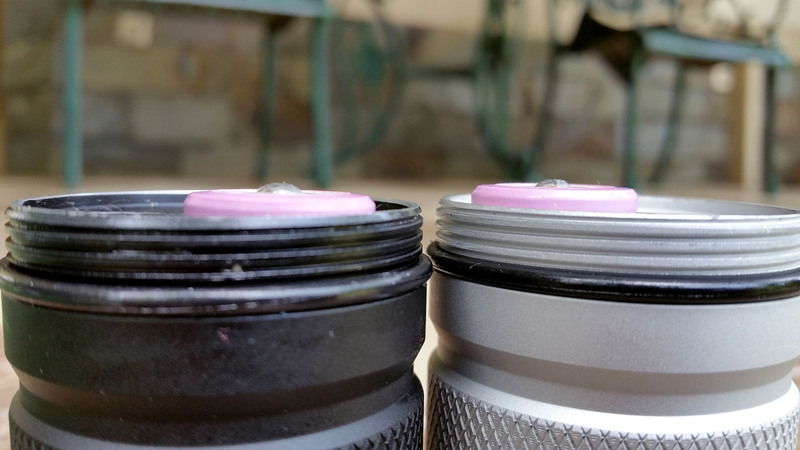 A fast click followed by a long click to lockout the flashlight ; Repeat to unlock; Loosing the head or tail cap a bit can lockout the light as well. 1. Double click Hidden Turbo instead double click will go straight to Strobe annoying! 2. 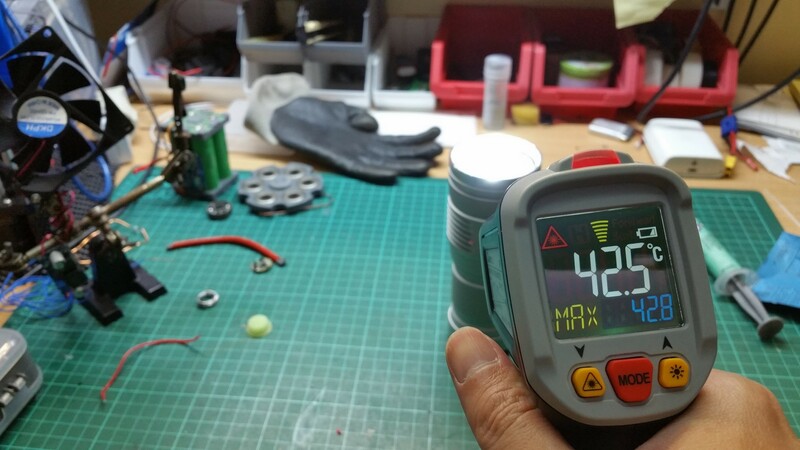 MT01 doesn’t have battery power level indicator unlike SC01 and MT02 so the above text is not correct i find this odd, holding the button while the light is off does nothing. 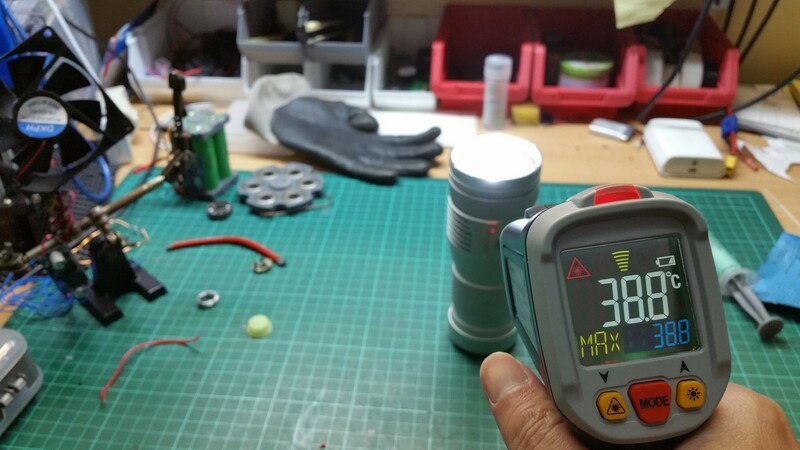 This have come to my attention that the soldering on the spring is not good (reported by few users) even on the last batch on my MT01(15 of August 2017). 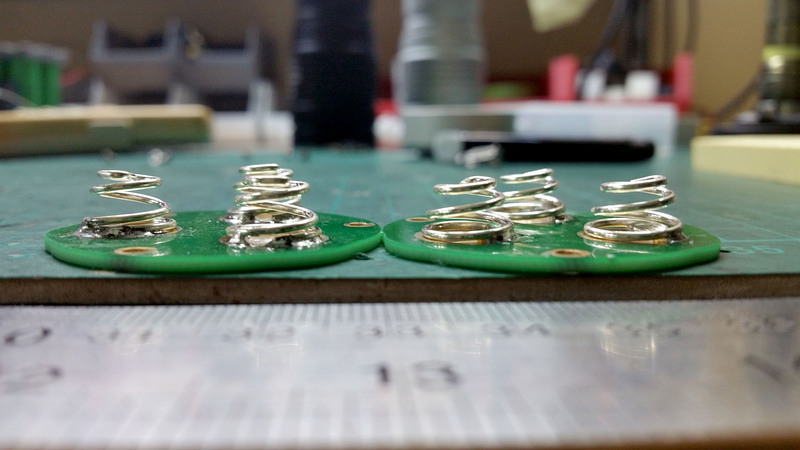 Solution is to re-soldered them. These boards came from both of my MT01 and MT02. 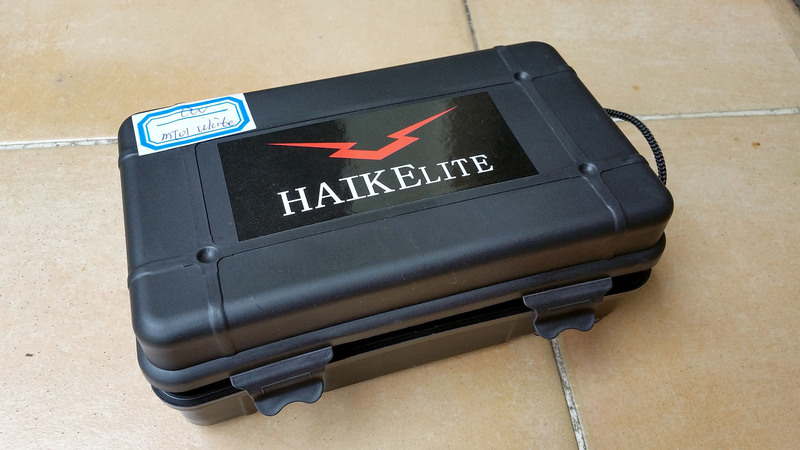 Haikelite already aware of the Problem and said already fixing the problem with the lights they have in stock. Hmm what missing inside? O-rings, weird it is just empty plastic clip with no O-rings inside. BTW i got extra O-rings from my MT03 maybe they decided that i have already enough O-rings. MT03 O-rings are too big for this light mind you. 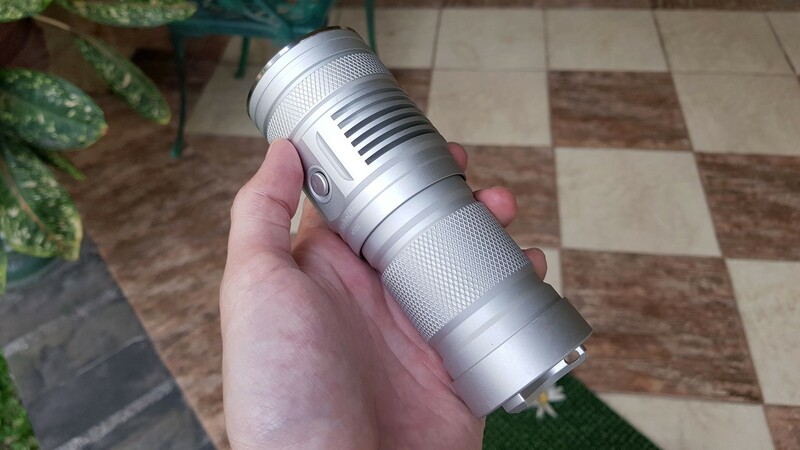 The flashlight in hand, the matte silver finished is beautiful. Will Haikelite produce another color in the future? Maybe Desert Tan? All alone in the wilderness. 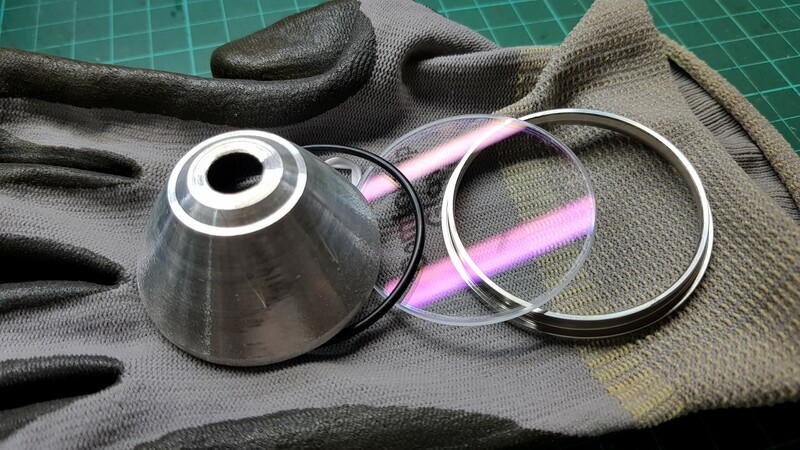 The reflector, lens, bezel assembly in the exact order when assembled. 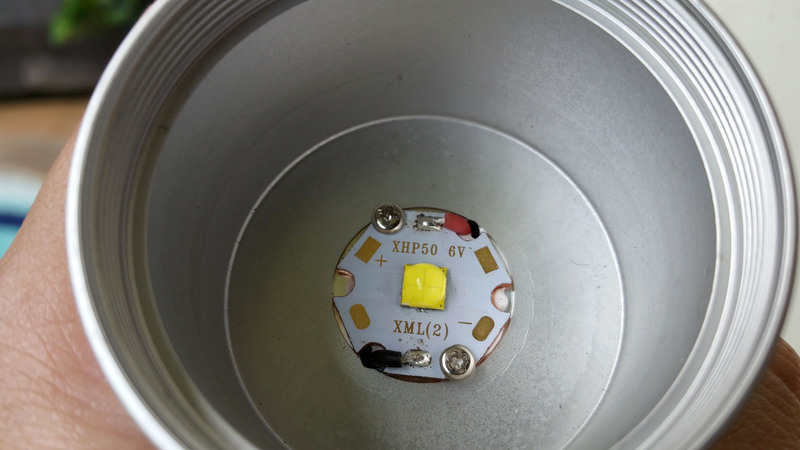 The XHP50.2 emitter, there is a centering ring (not in picture) and the star is screwed down. 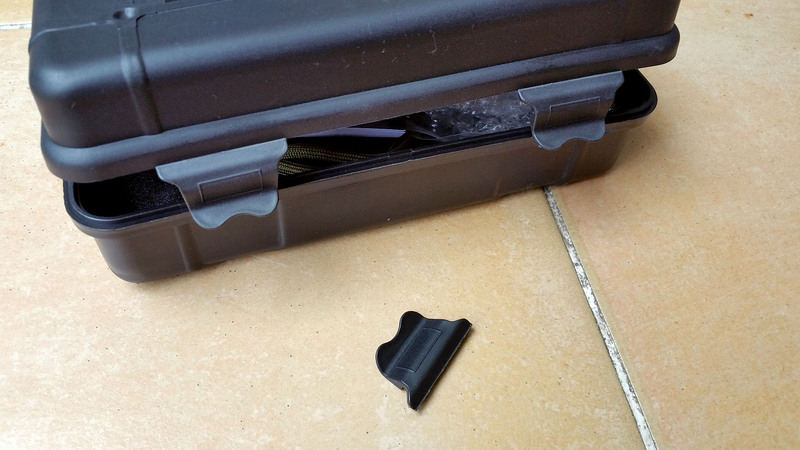 This is where you insert the battery, not from the tail. My Samsung 30Q needs solder blob while my LG HG2 doesnt. The MT01 seems to be using slightly higher spring compared to my MT02 or could be my MT02 springs already weakened? 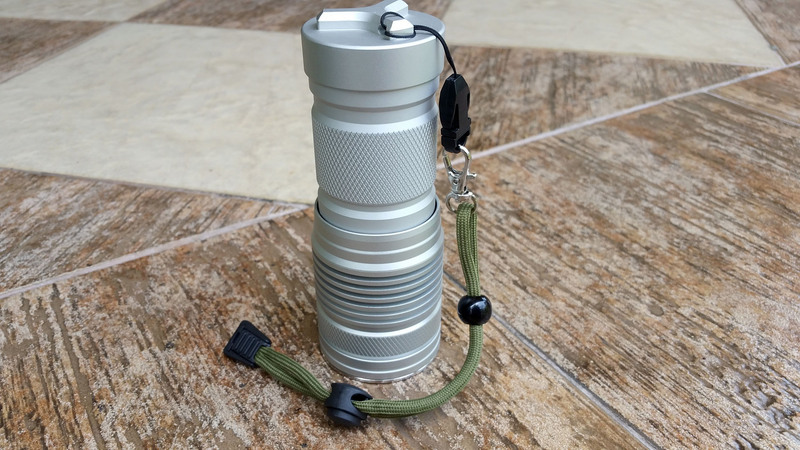 MT01 with provided lanyard, good quality too. i dont use lanyard. 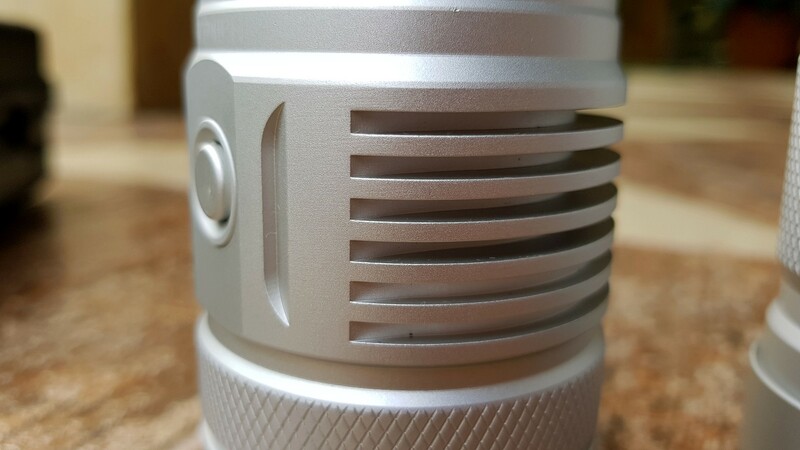 The Haikelite MT01 has serial number and CE ROHS text while the MT02 doesnt, this particular tail-cap design make the light unstable while tail-standing. This design was probably decided so they could have hole for the lanyard. 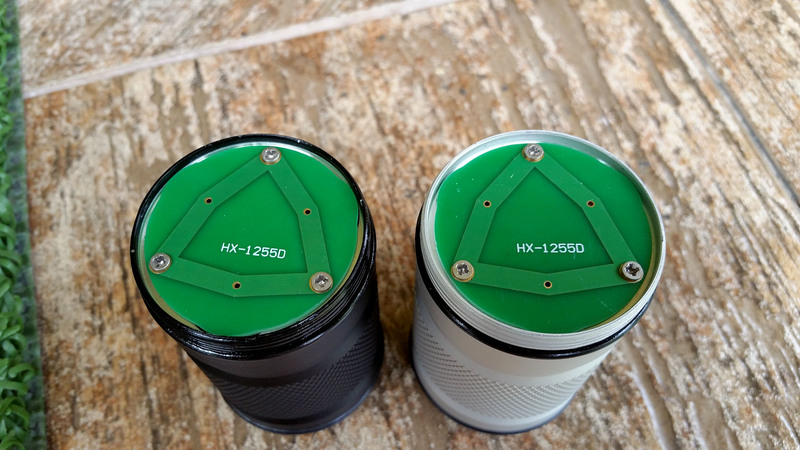 Head assembly Haikelite MT02(left) and Haikelite MT01, look like different driver is being use. 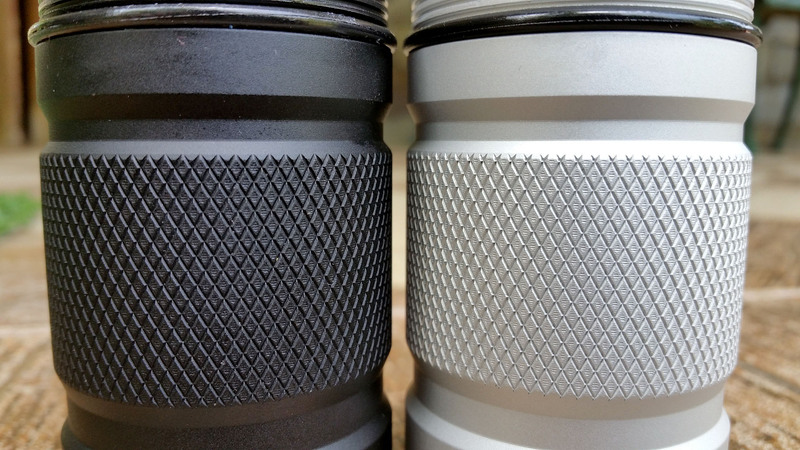 The diamond knurling tough to clean when dirt get in between. 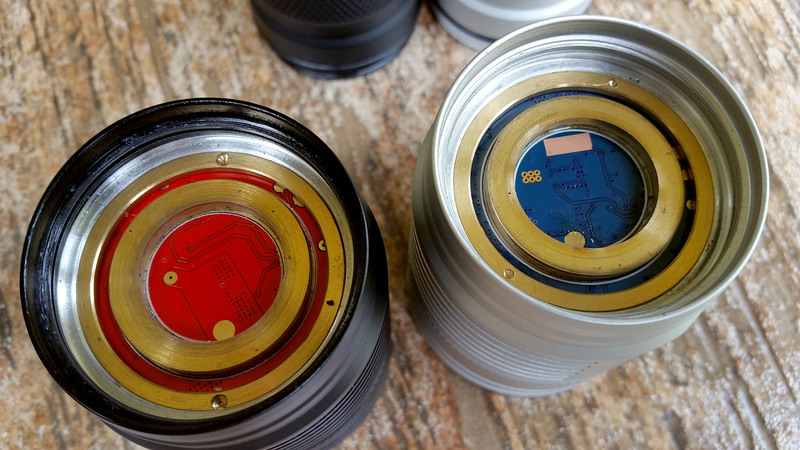 Parts of the Tube and tail are interchangeable between MT01 and MT02. Lego light? 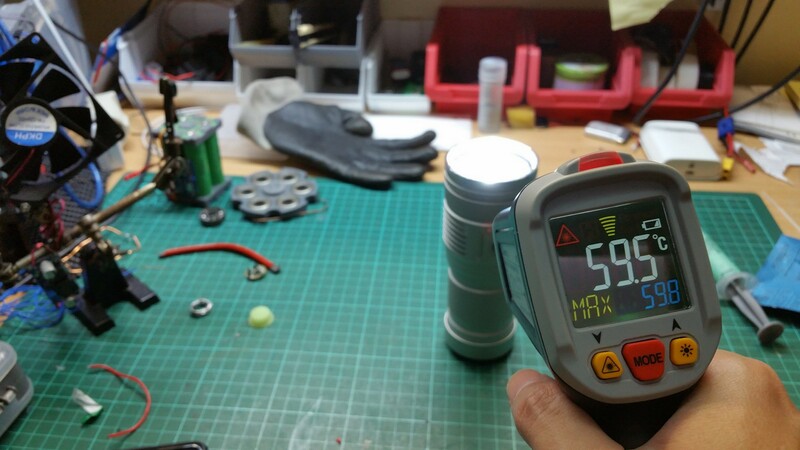 9 Minutes (i need glove to handle the flashlight at this temperature) even the tube is hot. Ceiling bounce test comparative result. 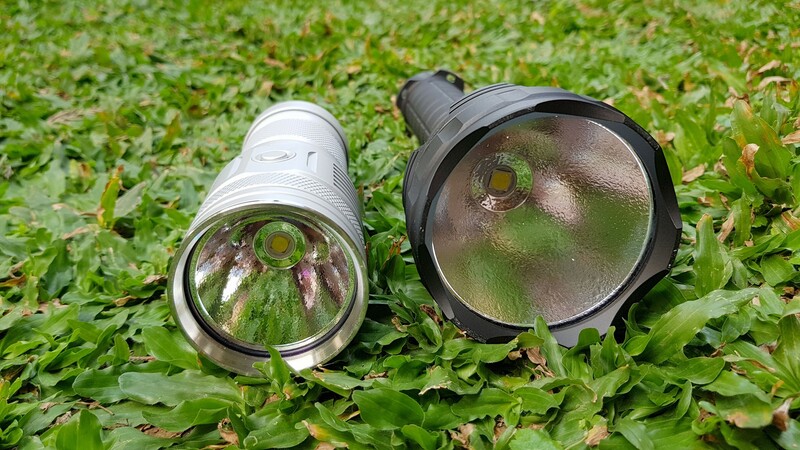 MT01 and MT02 look identical but in paper the are very well a different lights, both using smooth or orange peel reflector and both using different emitter XHP50.2 and XHP35. 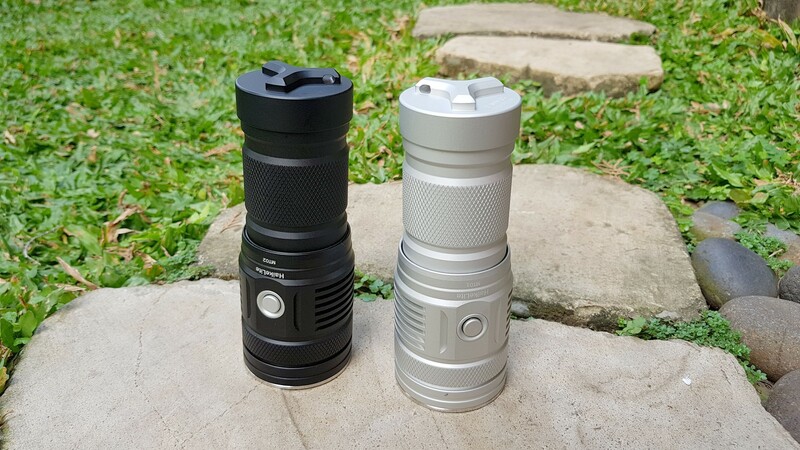 The MT01 is intended for more general purpose light although not as floody as SC02 the MT01 still have a nice soft hotspot to spill transition that not as blinding as the MT02 and still have throw when needed. 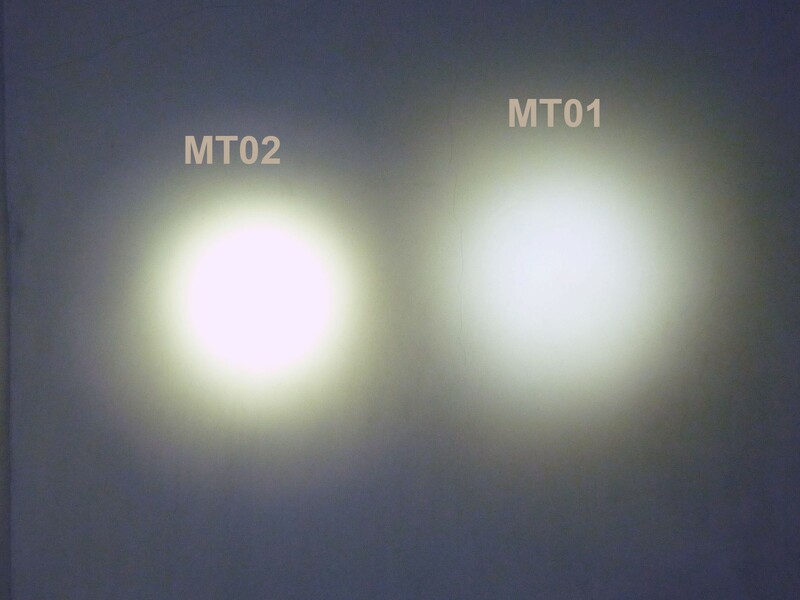 I would rank the light from throw to flood in this order SC01 > MT02 >MT01 >SC02 the SC02 being the most flood. 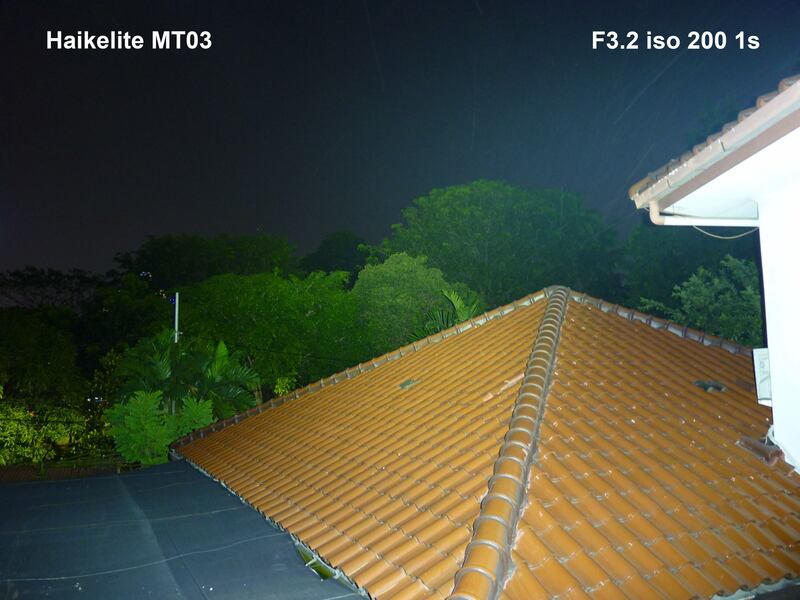 I found that i like the MT01 than the MT02 for its softer hotspot, but the UI is letting it down, after using SC01 and MT02 for a while now double click to strobe is annoying, being able to go to turbo in instant is a big plus for me instead of strobe i normaly keep my light on low or medium and use turbo once when needed without having to cycle through the mode. 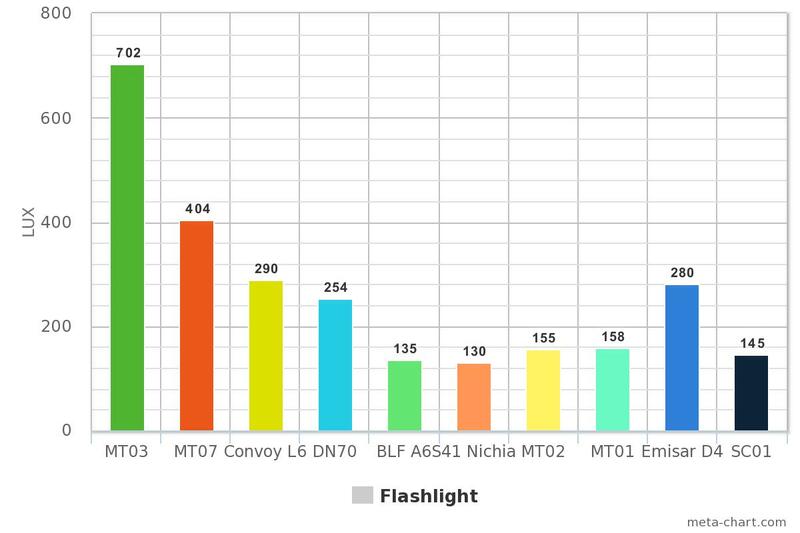 I wished that Haikelite could unify all their flashlight UI, but i think they trying to build light with various combinations and at the same time try to cater for “tactical” and “self defense” light crowds this time with MT01. Would i recommend MT01? 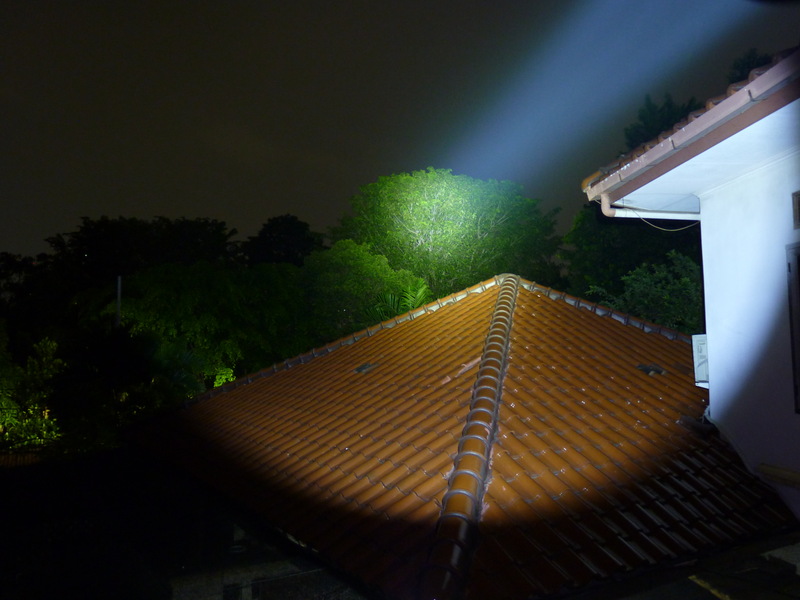 yes despite its downfall the beam is nice enough without being to floody if you are new to Haikelite then the UI should be easy, but i am accustomed to MT02 and SC01 flashlights and using MT01 is like learning all over again, going to strobe accidentally is indeed not nice! Two thumbs up for this review. So you’ve got a whole collection of Haikelites, and all of them have their unique characteristics. But is there a particular light that you like most? 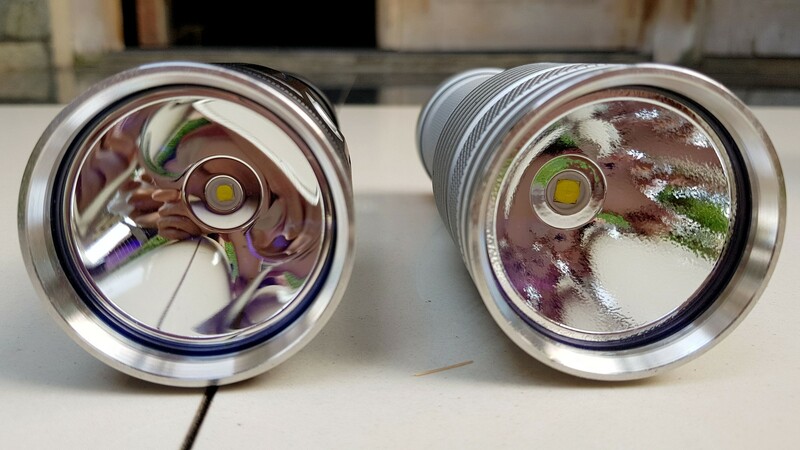 Is there a light that you just use a lot more than the others? Cheers man! Thanks again for the great review. Just got my white SC01 yesterday, and I am very happy with the light at the price (with coupon) point. I am now a fan of haikelite. It just feels great in the hand, and I am sure the MT01 would as well. I still might get the SC02 or MT01. You are right, the UI on the SC01 is perfectly simply (for me at least). 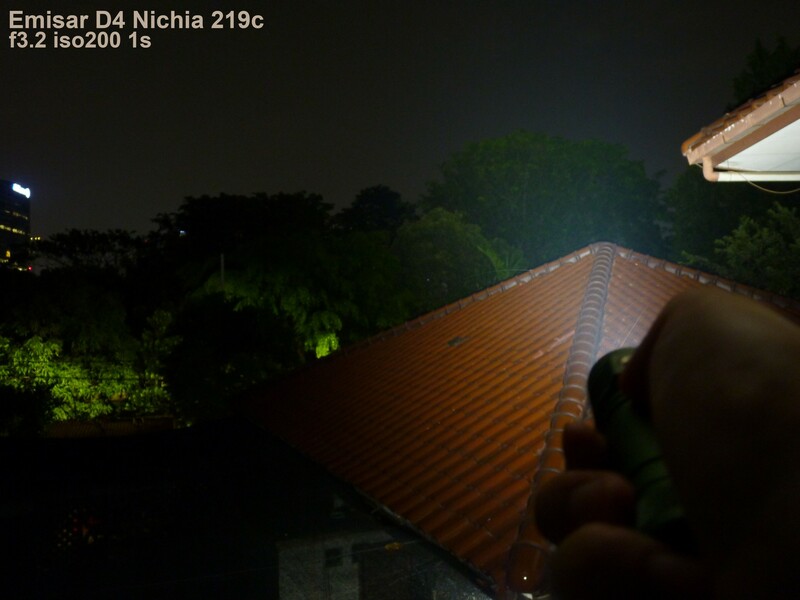 Also thank you for including the D4 beamshot. Looks too floody for me at least. Two thumbs up for this review. So you’ve got a whole collection of Haikelites, and all of them have their unique characteristics. But is there a particular light that you like most? 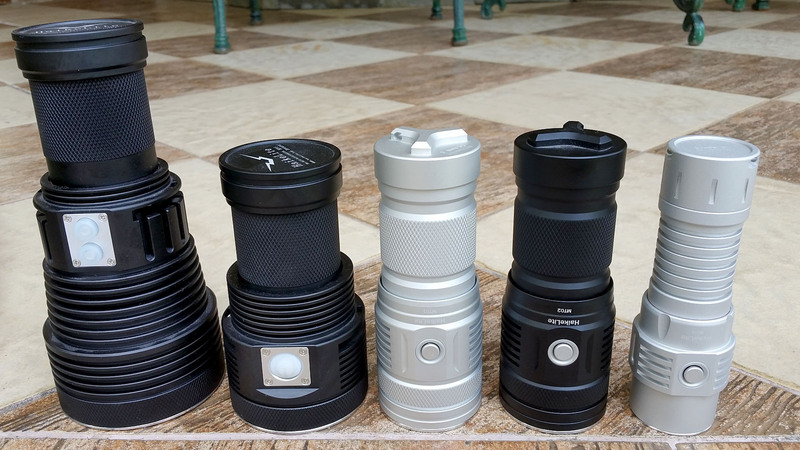 Is there a light that you just use a lot more than the others? Cheers man! Among all my haikelite I like SC01 for its small size but the beam is just too throw-y, i think i will like SC02 more if i had one and could be my new favourite maybe i will get one in the future. 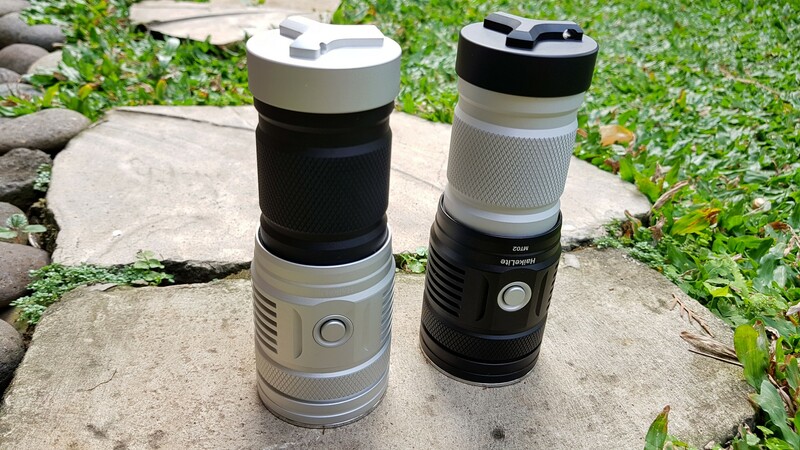 MT02 is actually my favourite as a second EDC that i carry in bag, my main EDC rotation is BLF A6, Convoy S2+ and Astrolux S41 but i havent EDC-ing Emisar D4 much since it doesn’t came with the clip too bad it is otherwise a nice light. 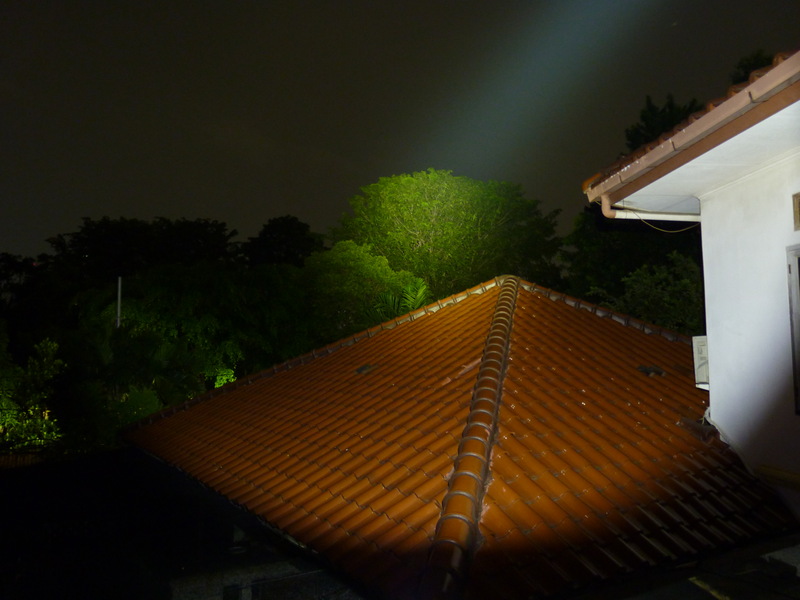 Actually i was thinking of not including the D4 beamshot but since many own D4 i decided to include one in the review. 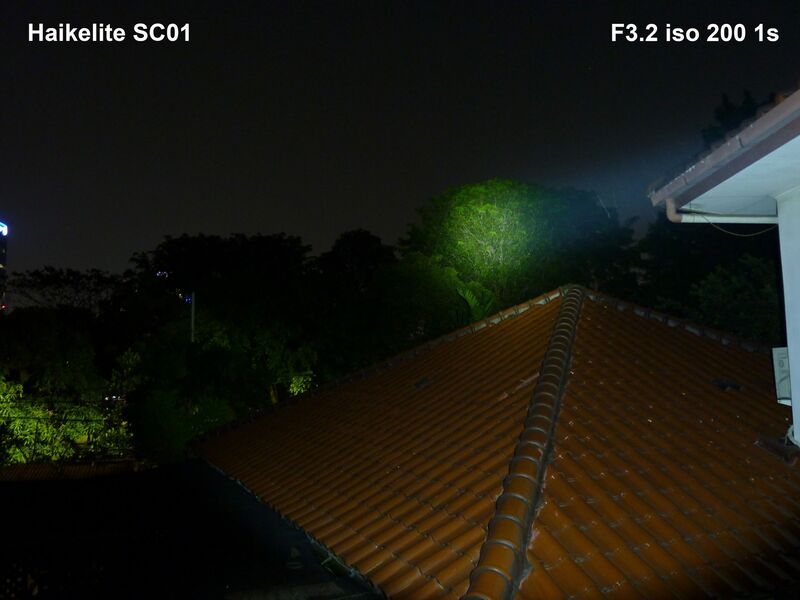 The D4 is basically a flood light not much throw but the output actually overcome that somewhat, it would not replace SC01 as D4 is a different light but could be a good companion to SC01 because the D4 is all flood. 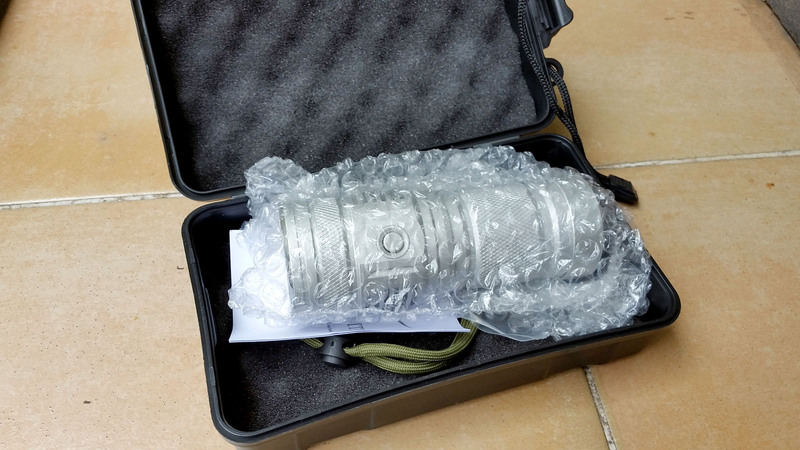 I am sure you will like the MT01 it doesn’t have scorching hotspot like SC01 does and the MT02 is too similar to SC01, but the size of MT01 need getting used to but still nice to grip on. Can I please ask how to access Turbo mode on the MT01? When long pressing the button, it seems to only cycle through 4 modes (Low low, low, middle and high) by my count. I can’t seem to work out how to access Turbo mode? 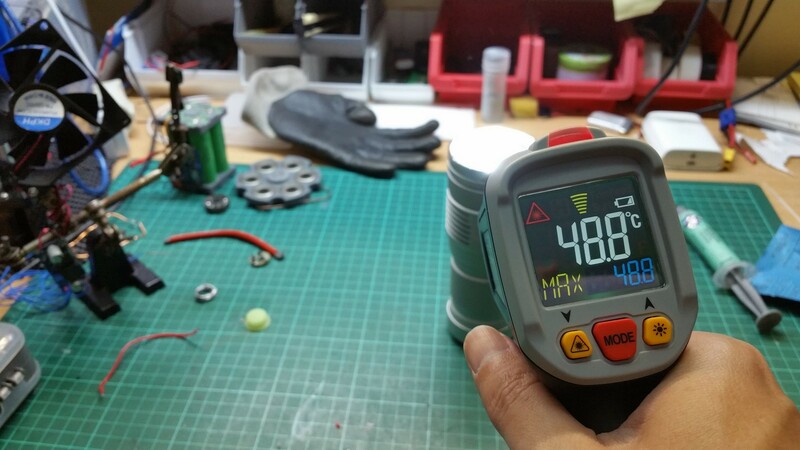 The MT01 has a slightly different UI. Double click will give you strobe. Turbo output is part of the cycling sequence, so keep button pressed to cycle to turbo output. Haikelite might have changed some things here and there, but as far as I know this is the UI specifically for the MT01. There was an error in the Manual if i remember it correctly and the MT01 has it’s Turbo mode within the normal cycle you dont need to double click for Turbo unlike MT02. MTN page lists the mode as follows. So my count of 4 modes were correct after all. I was beginning to think it was the batteries (Samsung 30Q). To turn the light on or off, give short click. Holding the button cycles between the 4 normal modes. A double click from any point takes you to strobe. To lock out or unlock the light, give a fast single click followed by a very long clock. 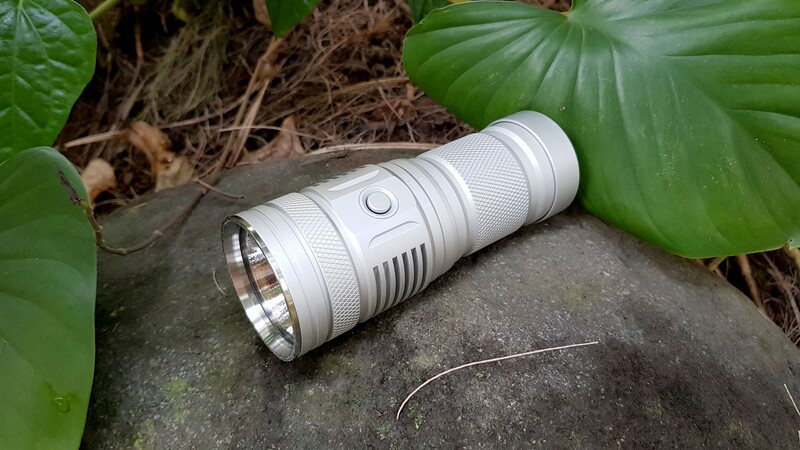 ​Low Low: 50 Lumens. Estimated Runtime: 75 hours. 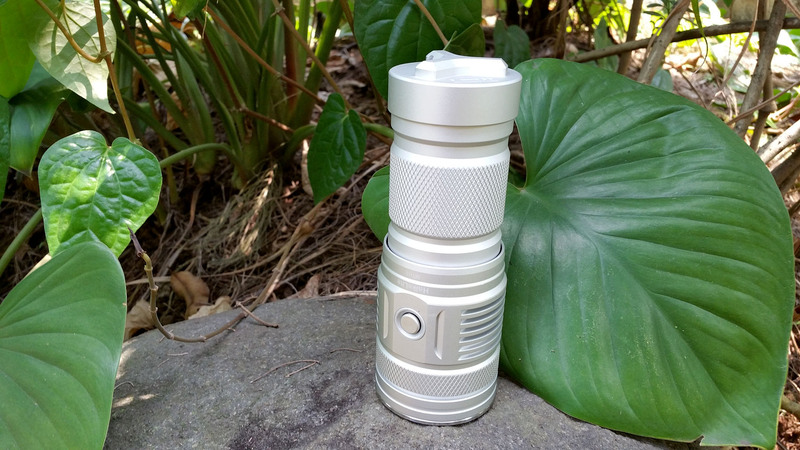 Low: 250 Lumens. Estimated Runtime: 15 hours. 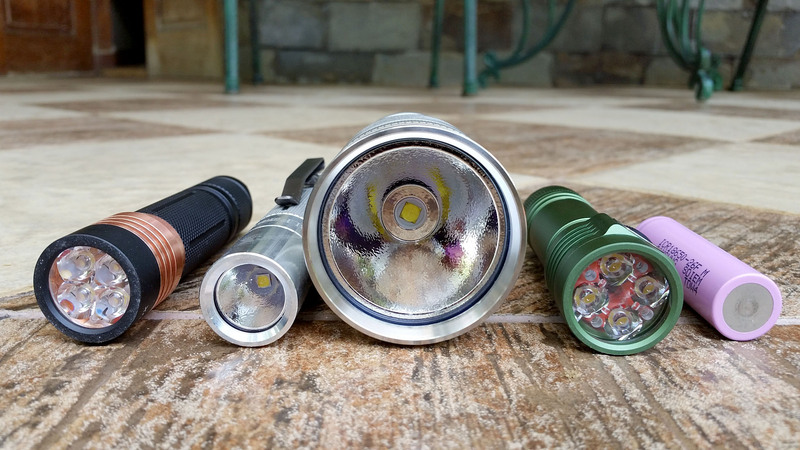 Middle: 850 Lumens. Estimated Runtime: 5 Hours. 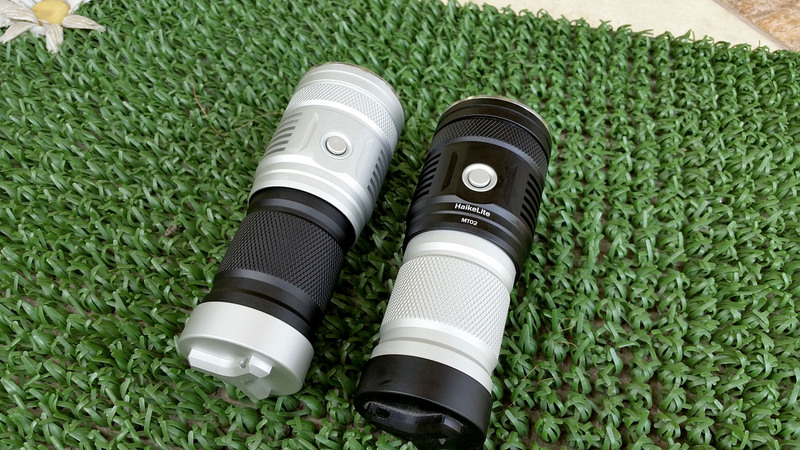 High: 2500 Lumens. Estimated Runtime: 105 Minutes.